You can't pass up a good picture of an adorable baby animal. 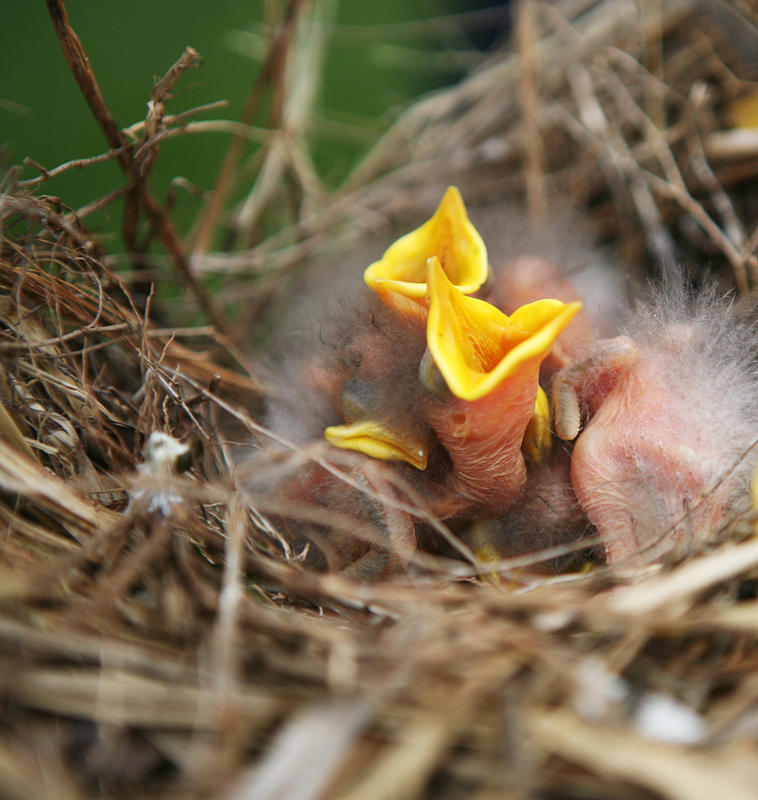 I wouldn't necessarily call these baby birds adorable, but they're adorable in a striking, new-life sort of way. I found them in hood the propane tank near my parent's house. 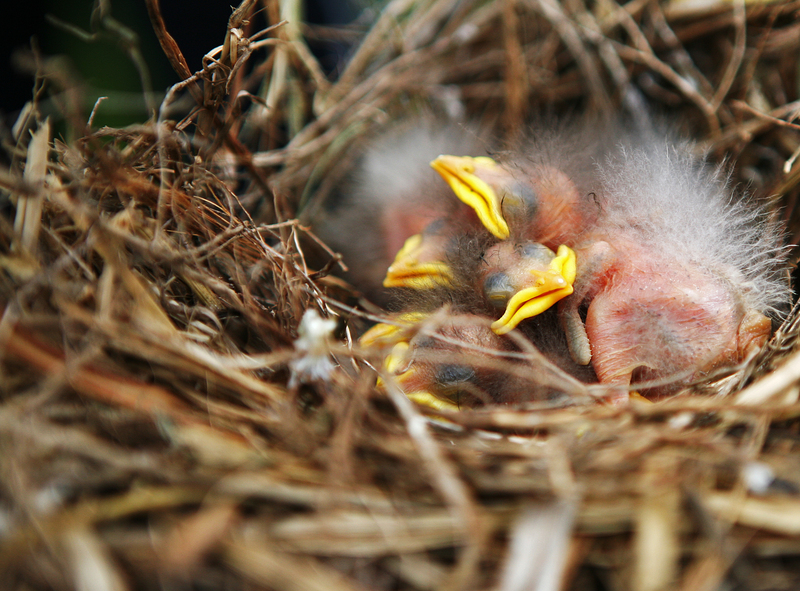 The mother had built a huge, beautifully secure nest in the top. I didn't photograph them for long because I was worried they would get cold and upset, but they were so interesting to watch!